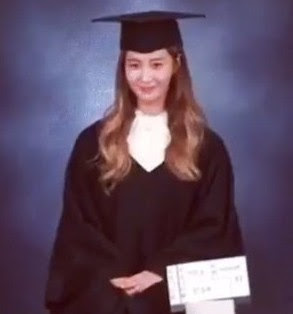 SNSD's Yuri is finally graduating this year from ChungAng University! "Yuri: Thought it was a baby studio... #AmIShaking? SNSD's Yuri and SooYoung are both major in Theatre and Film in ChungAng University. You can see more from Yuri and SooYoung's past pictorial for ChungAng University here.